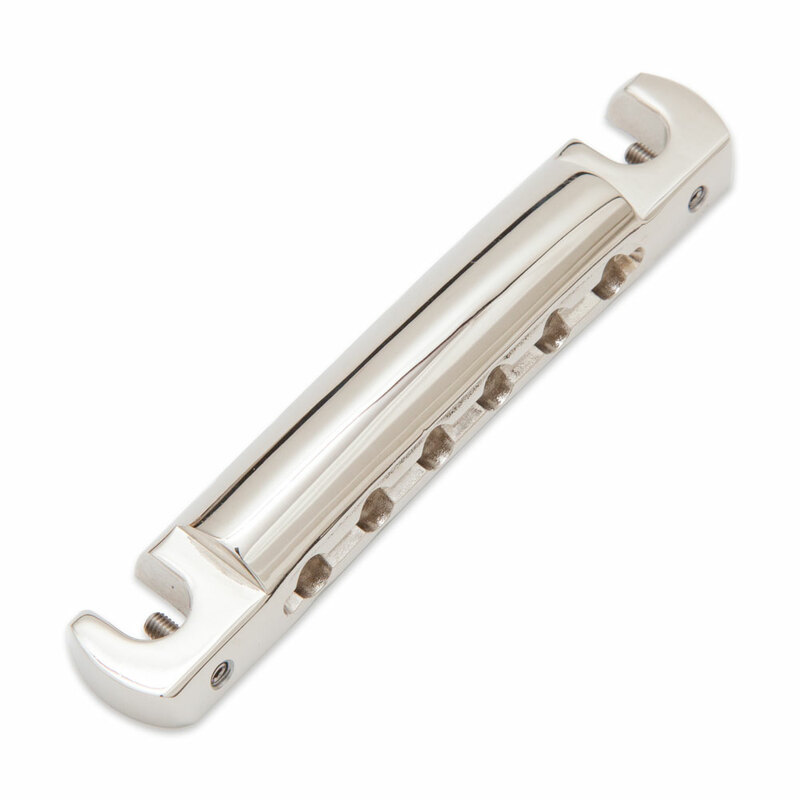 The Faber TPW-59 Vintage Wraparound Aluminium Bridge is a 50s style non compensated, wraparound bridge originally for the Gibson Melody Maker and LP Junior style guitars. Made from lightweight aluminium and designed as an upgrade piece (or to replace an original vintage piece for preservation) it comes as just the body, posts and studs are not included. Intonation is adjusted via the allen screws, which push against the bridge posts to create an angle in the bridge.